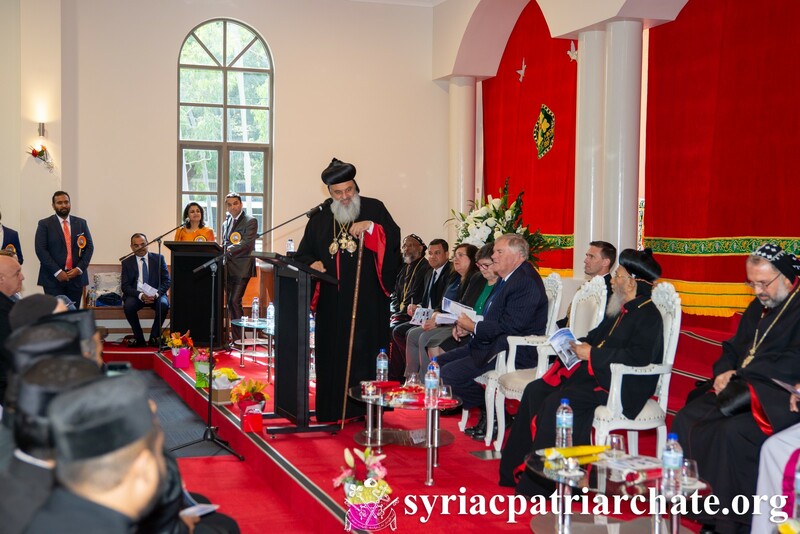 On June 30th 2018, His Holiness Patriarch Mor Ignatius Aphrem II attended an official reception at St Peter Church in Perth – Australia on the occasion of its consecration and inauguration. The reception was attended by His Beatitude Catholicos Mor Baselius Thomas I, Catholicos of India, and their Eminences: Mor Malatius Malki Malki, Patriarchal Vicar in Australia and New Zealand, Mor Milithios Yuhanon, Metropolitan of Thumpamon Diocese and Patriarchal Vicar in Australia, New Zealand and Singapore, Mor Athanasios Geevarghese, Metropolitan of the Simhasana Churches in Southern Kerala and Abbot of Manjinikkara Dayro, Mor Theethose Yeldo, Archbishop of the Malankara Archdiocese in North America, Mor Iraneous Paulose, Metropolitan of Kozhikkod and Patriarchal Vicar in Oman, and Mor Timotheos Matthew, Patriarchal Secretary for Indian Affairs. His Excellency Hon. Kim Beazley, Governor of Western Australia, Hon Kate Doust, President of the Legislative Council in Western Australia, and Mr. Amit Kumar Mishra, Consul General of India in Western Australia, as well as many dignitaries, engineers and friends of the church who contributed to its edification. In his speech, His Holiness showed the important role of the Syriac church and its mission wherever the faithful gather to praise the Lord. He also emphasized the need to hold firm to our faith and traditions that we have received from our forefathers.